We have theoretically studied the Auger effect after inner-valence ionization of several unsaturated and saturated cyclic and linear hydrocarbon molecules. These prototype molecules were chosen such that the effects of the different characteristics of aromaticity (π electrons, conjugation, cyclic geometry) on the Auger decay can be investigated separately. We show that among these molecules, the ones having π electrons can undergo Auger decay after inner-valence ionization. Furthermore, the results reported here suggest that conjugation allows for several open Auger decay channels while aromaticity limits the range of the latter. 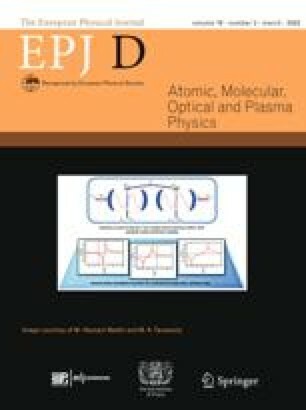 Contribution to the Topical Issue “Many Particle Spectroscopy of Atoms, Molecules, Clusters and Surfaces (2018)”, edited by Károly Tökési, Béla Paripás, Gábor Pszota, and Andrey V. Solov’yov.